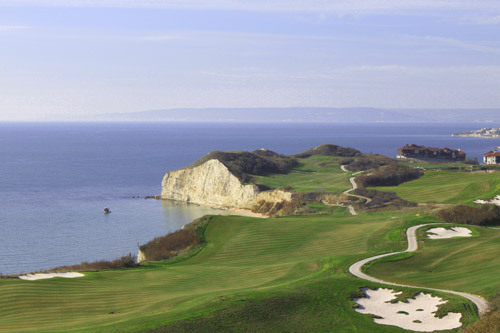 Thracian Cliffs is located on the northern Black Sea Coast of Bulgaria near Cape Kaliakra. Nestled along a 4 500 m of smooth coastline, flanked by scenic chalk rocks and kissed by the gentle waves of the soothing sea, this resort development is being built on the grounds of ancient Thyrisia — the magic land of the once powerful Thracian kingdoms. 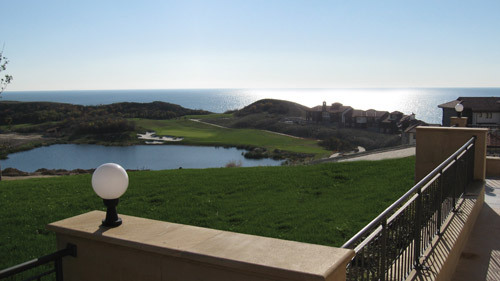 Thracian Cliffs spans over 164 hectares of pristine coastline terrain with a very low building density of less than 15%. Marina Village comprises 6 low-rise buildings right next to the future boutique 92-berth Marina. 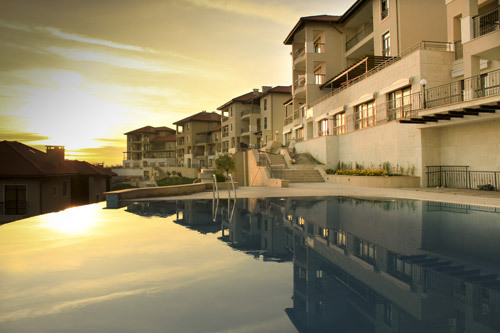 It avails of over 4 000 m2 of commercial areas, swimming pools and the Resort’s landmark watering lake. Hillside Village is situated on an elevated picturesque terrain just 100 m above Marina Village with splendid views over the 18-hole Gary Player Signature Golf Course, the lake and the horizon beyond the sea. The 40 Golf View Residences are positioned around the Resort’s exquisite Golf Club House and offer an unobstructed view over the golf course. The interior, exterior and their furnishing are creations by acclaimed Jean-Michel Gathy. The 18-hole Gary Player Golf Course forms the core of the development. According to golf champion Gary Player: “The fact of having no building between the golf course and the sea, paired with the natural scenic beauty, positions Thracian Cliffs amongst the Top 3 Golf Resorts in the world”. Carefully selected locations of tees and greens surrounded by wild, scenic Black Sea cliff terrain, bestow a truly exhilarating golfing experience.